Topic: Cards Fan Here, Do you Fellas want Maryland Back? Cards Fan Here, Do you Fellas want Maryland Back? After having my chops busted by you crazy guys, I have a question. In hindsight, would you prefer to have kept Maryland? I hear that tailgating and the fan interaction at Byrd Stadium was awesome. I also understand that the Terp's commitment to football was off the charts. So, do you guys regret it? You know they just beat an awesome Texas recently, right? Serious discussion always welcome, but I'm prepared to be flamed and totally beaten by you ruffians. Did they play loud music there at Byrd? Does everyone act like they're at a Miley Cyrus concert? It compliments the cheap pizza and hookers. No, we don't want Merryland back. But that's like saying, "Lewisville is better than Wake Forest at stuff, and Lexington is a better location for football than Charlottesville." Re: Cards Fan Here, Do you Fellas want Maryland Back? Both times they had the absolute worst police officers, parking attendants, and fans. That place is garbage. My uncle who was a Clemson police officer at the time got threatened to be arrested by a Maryland police officer for trying to stop a fight. Sounds like a great college football environment. No. Glad you are in the ACC. Stop almost beating us and make sure you beat Kentucky. But if I could vote to kick Pitt, Louisville, Syracuse and BC out of the conference and bring in teams that actually care about football and have tradition I'd do that in a heartbeat. Let's be honest here, last year y'all got up to what...3rd in the country? You had the Heisman winner, and you still lost to Kentucky and Houston? Tommy Bowden used to pull that crap and we fired him. Your coach does it and y'all worship him. See the difference? Was this before or after the bright new verb "Clemsoning" was popular? Ha ha, the verb is banned!! Went out the window when we won 3 ACC Championships and became national champions. You're positive about that, lol. You do seem a bit sensitive about the issue. I mean, mouth-breathing?? Is that your best? I mean, it does indeed take a special amount of ignorance and mouthbreather tendencies to use "the new verb" as if it's original or relevant. I think I'll stick with "sensitivity" more than ever now, ha ha. Stupid? Mouth breathing? Dam, son, you need to work harder on your epithet training. You could have at least called me urban trash. letdowns against inferior talent (would be the equivalent of losing to Duke, BC or Louisville today). Dabo is different, if something is wrong, it gets fixed. But keep on believing Petino can get it done up there at Lewisville, as far as I'm concerned I'd love it if y'all gave him a lifetime contract. What's his record in big games? You mean during his 11-1 year Arkansas, or beating #3 ranked WVU at UofL? Petrino's past doesn't have much to do with this team. Saturday night is what is has to do with. Your Dabo and Venables are special coaches - elite. I;m glad you don't see Petrino worthy of wearing their day old sweat socks. I wager they do not agree. Last season's Clemson/UofL game was a classic, generally regarded as one of the best games of the season. A total thrill which we all enjoyed because we like the sport. We find it remarkable the lack of respect we see here. This is truly a Millennial posting island. he did score early and often....can you say: "illegal use of hands"? So one big game, a win over West Virginia? Most of us are pushing 40. Many of us are in our 50s and above!! If that's true, that saddens me. Have you ever read your own site?? Clemson actually welcomed you into the ACC as one of the member schools who supported your entry into the conference. The first year, your fans were good sports and complimentary of our program. Then, you became constant whiners after losing some close games. That trend has continued, and is the reason for any perceived lack of respect. I call Bull on that. Louisville was honored to compete - very solidly - with Clemson. You know absolutely nothing about our fans being "bad", lol. Once again, both fan bases who invest time and travel energy into their programs enjoyed each other immensely in the past - bar no year. Zero bad vibes. We loved the true college atmosphere and the enthusiasm of Clemson fans. In fact, after having been in conference with WVU, UConn, South Florida, UCF and Rutgers fans, the graciousness at Clemson was an unbelievably pleasant surprise. It matters and it carries through to today. Check your reports on tailgates in Louisville and the time they have, touring the many weird places we supply. No - what you believe is a special kind of product only online fans can ruin. 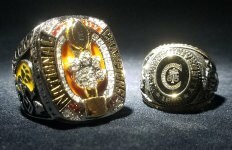 It just provided one more bit of motivation to the entire Clemson program to achieve what they did the past 2 seasons. You mean the Tommy Bowden that coached for ten years? Ten years is a long time, bud. Yes, but we have no plans to rehire him. You can't say the same. program's history so you don't sound ignorant, then we'll talk. I know quite a bit about Clemson's history. I understand the passionate fan base you guys have. I also know that you tolerated ten years of Bowden and Ken Hatfield for a few years. So don't act like you have a short chain on the coach. The record speaks for itself. Also, the fact that you retained little Tommy doesn't square with the idea that you won't tolerate mediocre coaching. Clemson actually did. LOL. Like arguing with my wife. The freaking record supports everything I say, dude. Wait, we still have Tommy? Are you seriously arguing about something that happened in 2008 when he was fired? I guess when you argue with your wife you bring up the guy she was with before you right? Mostly because they didn't have embarrassing personal lives. Care to talk about Pitino and Petrino's character issues and how you some how overlook them and not only retain them, but in Petrino's case rehire him. Re: Mostly because they didn't have embarrassing personal lives. Not really. Neither one of them will win Husband of the year. Rick got caught bending a tramp over a table and Bobby had his volleyball gf at Arky. How can I defend that? What would be refreshing is that you ladies could talk football instead of diving into a morality lecture. How big is the closet down there in South carolina, Joel Osteen? Of course last year alone, Clemson beat 3 teams ranked in the top 3. Actually a good comeback. At least it wasn't a Sunday morning sermon. ... coached so long given there sub-standard product on the field. Pretty sure I answered you in a frame of reference I felt that you, as a Louisville fan, might understand. 1) We have a pretty dang good program right now that is sending a lot of kids to the NFL, winning a lot games and championships, and attracting the attention of a lot of coveted high school kids (oh, and almost all of our kids leave here with a degree in their hands). 2) Our coach is a very amiable family man who time and time again "does the right thing" regardless of the situation. Basically, I was making a juxtaposition as to what it tolerated and not tolerated at Clemson versus what appears to be tolerated at Louisville. Sorry if you thought it was a sermon, it was more of an observation. Congratulations on Jackson's Heisman (he is easily the most athletic guy in college football right now, perhaps ever), but if it looks like he may win again this year, please make him take "Public Speaking 101" before he gets in front of the cameras again. care less about football than Louisville. Louisville was a good add. Went to 3 games at Maryland, and while the fans weren't welcoming and have no idea what tailgating should be, I never had any trouble. Went to L'ville in '15 and I actually thought the fans were pretty cool. I had a great time at Churchill Downs, visiting Jim Beam, Uber-ed to a fun bar afterward. And I LOVED that they sold beer during the game! No, I don't want Maryland back. I for one like having you guys in the conference. Just wish you could get that average SAT entrance score into the 4 digits. Re: I for one like having you guys in the conference. You know what else would be cool, if not sublime? Hearing that Clemson made the NCAA basketball tournament. Ha, you gotta be kidding? ... because XT is trying to convince Zion Williamson otherwise. Is that that sport that all the poor people cheer for? buying your players ugly hookers to get to the tournament and having a coach who commits adultery by banging skanks, so no thanks. You can have your cute little basketball tournament, we'll keep our football national championships. How many NIT appearances do you guys have? Is there a place I can see the NIT banners when I visit Clemson next Fall? Re: You're talking about basketball. Kinda like guys bringing up SAT scores in a football thread. I mean, your students are dumb AF, dude. Nothing better than a little academic brow beating on the athletic message boards. glad Louisville is in the conference instead of Maryland. If you don't like the SAT comments maybe ask if we think Card Football is better than Maryland Football. APR too, so it's relevant. That's what having a coach with integrity gets you. That sport is SOOO overrated. Oh, you are a basket weaving fan? Maybe you'd rather go to Dook discussion bored? I like having Louisville in the conference because they care about football. That said, Louisville fans are the worst. What a bunch of entitled cry babies. Every year it's the same #### excuses. They act like the college football world is out to get them. My most hated fan base in the ACC was NC State and now it's Louisville. Go pound sand you idiot. Now that's what I call busting some chops? Mountaineer huh? Is that some sort of allegiance to White Trash U in Morgantown? If so, say hi to Coach Hair Plugs. Nope. Definitely not a WVU fan. But since you are in to calling people trashy what do you think of your program? Is cheating on your wife trashy? Is hiring escorts for recruits trashy? Is recruiting thugs that have been kicked out of other schools trashy? Is taking the playbook of another team trashy?You Louisville fans make it too easy. Your program is a laughing stock and is the definition of trashy. Byrd Stadium and the complete jacka$$ fans around it were far and away the ugliest. We're not taking all in good fun we're going to whoop your team kind of stuff. No, we faced continuous F this and F that, batteries being thrown from the upper deck (multiple instances) and more. Would never go back. They didn't fit in with ACC. More like a Big Least school. "would you rather be back with your ex?" No, but there are also other fish in the sea. And if you don't #### and make me a sandwich, I'm about to do a little fishing. And even I could not see Maryland ever developing a winning program. In my hopes, y'all continue to improve and develop consistency over time. You'll have to beat us at least occasionally to maintain a "rivalry" feel in our annual clash. Of course I won't hope for a loss for the sake of the rivalry. As another poster stated, you'll need a new coach and a more demanding fan base to hold that coach accountable. It might also help if you distance yourself from the "Second Chance for Thugs" reputation. It's a slow, methodical process, and you'll have seasons like 2016 when you think you might've arrived, only to realize that unless and until you have solid lines, you can be little more than a paper tiger. Good luck to you after this week. You'll have a chance to hang with us and possibly even pull off the upset. Keep building and we'll all be better for it. I'd rather be a ruffian than a fan of a team who has never beaten us in football yet talks crap like they own us. I'd also rather be a ruffian than a drunk redneck trash hillbilly that portrays to have money like you folk up in Louisville. You are a fan of the only team in the entire ACC including teams that used to be in the ACC that hasn't ever beaten us in football. Why is it that y'all talk crap like y'all own us or own anything for that matter? It literally makes 0 sense to me. Syracuse has more right to talk trash to us than you because at least they've beaten us 1 time. I hate everything about Louisville. You portray this "please respect us" attitude, yet hire a drunk who can't keep it in his pants as a football coach and then have a coach who is okay with booster/assistants providing hookers for KIDS IN HIGH SCHOOL. Literally as a whole university Louisville is a close second to Baylor as the worst schools in the country. Yet you still run your mouths. And some people in your pathetic little fan base whining about Clemson having artificial noise into our stadium, it's called having an actual college football stadium. Not a high school stadium that couldn't even seat enough people for a SC high school football 5A state championship game. You stadium seats 55,000? Clemson travels well. Hope y'all have the ability or well the knowledge to pump fake noise into your stadium Saturday cause if not KB will be able to hear a #### pen drop. Make no mistake you unreasonably cocky individual, Clemson ain't FSU. Clemson ain't Purdue. Clemson ain't UNC. Sure Lamar is electric I'm not taking anything away from him. But if you couldn't dominate Purdue and UNC how you gonna dominate our DL? Whether Alexander plays or not, your sorry DL that couldn't get pressure on Brandon Harris or the Purdue QB's aren't gonna touch KB. We turned the ball over 5 times last year 3 of which inside your 10 yard line and we still won! Yeah we lost a lot of production but I'd argue y'all lost more personnel than we did and you lost your defensive coordinator (who wasn't great) and replaced him with someone worse! can you give us options other than Maryland? The Fan bases are pretty much the same. But really Louisville is in Kentucky, not too smart up there . Those pills and inbreeding have left a lasting impression. Yep, I was stationed in South Carolina back in the early 2000's. SC is KY with a beach. I know that will hurt your feelings, but deal with it, ok? LOL my Daughter works in Cincinnati and just moved to Florence KY. I have never seen such a depressing state. Oh yeah and everybody had Mrytle Beach Ts on . If that's not pitiful enough. If you are going to Vacation in SC at least go somewhere nice, Hilton head, Ctown, Pawleys, or atleast North Myrtle. Does that mean I need to throw my 2008 Myrtle Beach tshirt away? a much better athletic program all around. I'd trade Syracuse, BC or Pitt for WVU also. from those Community College admission standards and adhere to the conference minimum ? Until then, shut your pieholes and don't act like you belong just yet..
but maybe Kentucky, would be a little better competition in football and basketball. Yep, they're pretty darn good at hoops. I hear that program in Columbia went to the Final four last year? Yep, and you might see them go .500 this year if they are lucky, losing all their best players, much like Louisville is going to be next year when Jackson leaves. Being a smartass is no way to go through life, card fan. We beat our rival in football too. How about you? Was just over on the Louisville boards, had to get my shots when I got back. This clown, laurel, talks about disrespect HERE?????? This poster Serone claims Louisville is going to win pulling away based on what, past games? The Purdue game? The UNCheat game? 3 in a row, National Champs, and they show ZERO signs of respect on that farce of a board. Jackson is good. Watson was the best player in college football last year and deserved the Heisman. He didn't lose his last 3 games and get smoked in a bowl game. Gotta show respect before I give it. Clemson has EARNED it. Louisville is still a wannabe. I'd rather have the National title, but that's just me. If you want to go the rest of your life, balled up and crying like a four year old, well, that's on you. Lamar won the Heisman, get over it already. Oh I'm over it. You want to run your mouth like you've done something in football, go back to your fantasy board and have your circle jerk. Clemson fans are over it...we do have the National Title...Watson DID win the Davey O Brien award for the best QB....he did get picked first round draft...and he will be the starter for Houston in 2 days. We'll see if Mr. Heisman can do all that. Right. If I could have a dollar for every time I hear boo hooing on social media regarding last year's Heisman, I could retire right this minute. You know something? It won't change. Whether it's here on TNet or on the ACC Facebook page, you ladies will be crying the rest of gameweek and the day after. No one's crying, we're just stating the obvious. Your guy has it, the whole world knows he shouldn't have. But if they had looked at the CLemson Louisville game more close, they'd have known that anyways....Watson did in fact average more yards per pass and more yards per carry than Jackson in that game, while winning the game. Don't believe me? Check the Box Score. Asking if you would rather have Maryland or Louisville in the ACC is like having to choose between VD and crabs. Nope. My only interaction with Card fans was last year and two years ago and the fans were reasonably agreeable and seemed to enjoy their visit to Clemson. Used to obnoxious fan bases. Got loud talked in the restroom at Athens at halftime when Clemson was leading, and of course there is the no class dirtpeckers at Billy Brice. But College Park is the only place I have had stuff thrown at me, multiple times, ice balled up in the bottom of a cup. All the obnoxiousness of New Yorkers without the sports knowledge. It may be damning you with faint praise, but you'd have to work to be the kind of jerks at UM. Fortunately, most people are different in real life. When we traveled to Clemson, most, if not all of the Clemson fans welcomed us with food, drinks, and wanted to know if we were having a good experience. Likewise, our fans tried to return the favor the next year. Terps or 'Tards? Which one do I care more about? I've personally saved my fair share of turtles crossing the road. I haven't had that much interaction with Tards in general, except when you guys show up to play Clemson. I actually have some very fond, but nasty, memories of the Terps, so, I guess I would take them back if they pay another $25M "dowry" to take them back. I'd literally take anyone else. I'd welcome South Carolina into the ACC over you fools. You are a basketball school that pretends to know something about football. At least Duke/UNC fans know their place. Your fans are ignorant to even the basics of football, you carry an undeserved swagger, and your school is academically inept to meet even the basic standards of the rest of the conference. Your coach is a lying, manipulative, arrogant blowhard that lacks any moral compass. Nothing about you remotely resembles an attractive addition to our esteemed conference. May god have mercy on your souls. I'll translate that. What you *want* is another football patsy like UNC or NC State that can look like a serviceable football program every 4-5 years. You do know your overall comparison to both of those teams is kind of crappy beyond head to head wins, right? Sure you should call them patsy?? Tigerman, we are 6-1 against the Pack. We don't have a long history with any other ACC school. Maybe FSU and Miami back in the 70's and 80s? Different program then, and if you truly knew our football history you would know that. We've played Syracuse and Pitt more than anyone, and that's just by Big East affiliation. We play Ga tech for the first time ever next season. That's not about ACC history...that's overall football history. UNC and NC state BOTH beat you in most of those...give or take the Heisman and maybe one more. Again, we had a borderline Div II football program before Howard Schnellenberger was hired. I get it, you're throwing all these metrics at me to show that both UNC and NC state are better football programs *historically*. Apart from what they've done going back to the early 20th century, what has either done in the 2000's? Are you really going to question the commitment and recent success that Louisville has done versus either one? Put your Tigers or FSU out there, I don't have an argument. And, obviously Miami and Va Tech if we want to go back in history. But, the rest? C'mon. You don't find it ironic you are calling teams patsy, but can't say you have a better history?? I mean, that is college football, right? We are talking football, not basketball, correct? Well, Don't know I'd call teams patsy when they historically are a better program overall. That'd be like Clemson saying that about FSU, OH State, or USC (the real one)...just a dumb comment. And not really trying to blast your history there, just saying to call them patsy, they should look patsy beyond wins. Clemson is 3-0 vs OH State, but I'd never dream of calling them a patsy team just because we have the most wins in the series. They have the proven historical better program. BTW, just a quick history lesson for you about Clemson, we were a military school of about 463 students until 1955. That was the first year Clemson became co-ed civilian, so we also understand the history issue....you're not exactly getting the best players consistently in the state or country when military is your only choice as a coach. Looks a lot like the Gamecocks...1 Heisman winner more, vs complete dominance. I hated to see Maryland leave, since they were a founding member of the ACC. But I did not care for their fans at all. They have an excellent basketball program, but their football program dropped off a lot after Friedgen. It's too bad, because they had some good teams over the years (especially in the 80s). Their academics are solid too. I thought Louisville was a good addition, and most real Clemson fans will tell you the same. Very good football, even better basketball, and good baseball as well. By all accounts, the Louisville fans are generally nice as well. Plus, Louisville is a fun road trip. I'm glad you guys are in the conference. And I fully expect a dogfight Saturday night. I don't want them back but I do wish they'd never left. I like tradition. Maryland is a founding member and the football teams had some great battles. They were a solid basketball program and had great soccer and lacrosse. They are a great institution in a great location. But they left, and Louisville answered the call. So screw 'em. The animosity between Lville and Clemson fans online is understandable, but overblown. In person the fan bases have enjoyed road tripping to the other school. I know you'll disagree, but Louisville should be thanking their lucky stars that we called them. We could have easily called UConn, but (this is just my assumption) the football schools probably wanted someone who was committed to football. Louisville can and should leverage this for all it's worth. Louisville is a neat location and the school could really improve its reputation and national recognition through the ACC. I hope they do. Re: I don't want them back but I do wish they'd never left. Swarley, I don't know a Louisville football fan that isn't grateful for the ACC invite. Not one. We were a UConn admission away from being in the American (big east rejects) for life. Enjoy those invigorating clashes in front of 35,000 fans in Storrs. while Louisville's stadium only holds 55,000. That's good, you guys should be comfortable when losing. Yep, a program that averages 9 wins is the illustration of losing. Maybe UConn would be a good fit. No passion for football and you ladies can roll into Storrs every other year and can expect little resistance. It is nice to have a team in conference that we can whoop up on every year and it's considered a quality win. How does it feel to help us get to the playoff every year? A program 50 games over .500 does illustrate losing. Fail to see much difference....that team at the bottom went 11-3 the year prior and was in the ACC Championship. drop-off post Lamar. I mean, your entire team is really built around him. When he's on you guys win big (FSU), when he's off it's more of a view into the team (UK, Houston). He's a great player and can carry the team but having success integrated into one player I feel like you are in for a big dose of reality on where your program is. Why...when the Cards have been so good to us? You all have helped us get to the Natty 2 years in a row!! Hail no. Worst uniforms in College Footsball. Maybe. Do y'all want to go to the big last, or maybe to the AAC? Did y'all get your A's and C's mixed up? I'd rather have the old 9-team ACC. But I'm old like that.